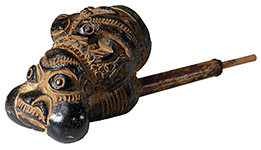 The bronze pipe below has been vetted as authentic. 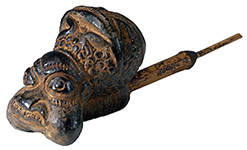 Despite their appearance, the clay and wood pipes below show no evidence of age or use and were probably made to be sold. 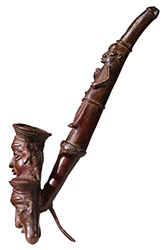 Elaborate tobacco pipe bowls made out of clay were decorated with a typical Bamun face. 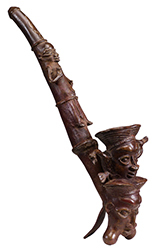 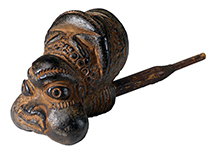 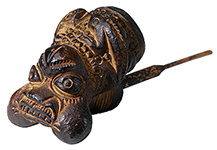 Pipes such as these were prestige objects and common among the Bamun and their neighbors.